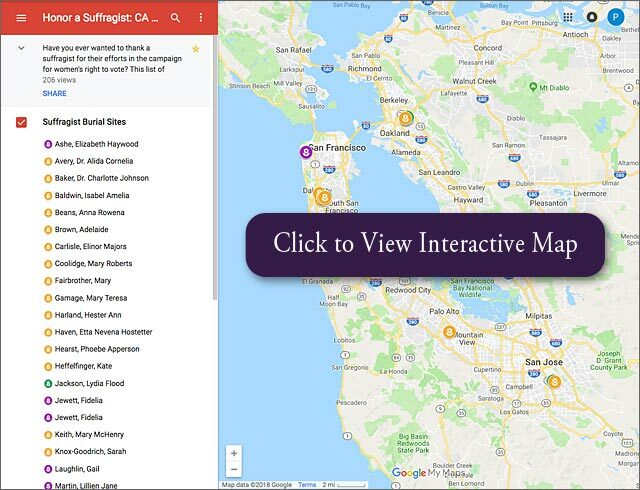 California has a profound connection to the national suffrage campaign and this project is committed to collaborating with every county in the state to build a more inclusive suffrage narrative and celebrate the accomplishments of all women past and present. Through our state’s history we can draw strength and build on what was created with the passing of the 8th amendment to the state constitution and the 19th amendment of the federal constitution. 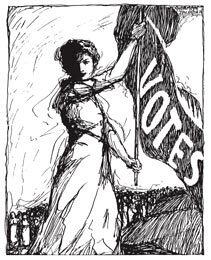 The CA 2020 Women’s Suffrage Project and it’s members, recognize that passage of these amendments was only the beginning and that much is still be done to ensure equal voting protections for all. The burial sites of California suffragists are marked with yellow flower icons on this map. Green icons indicate the burial sites of black suffragists and violet flowers indicate the burial sites of queer suffragists.